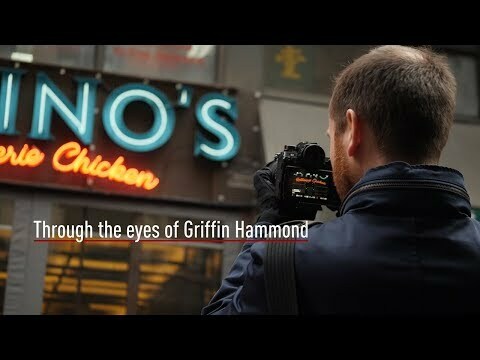 A new 47.3MP CMOS sensor with the ability to deliver unparalleled resolution and detail. Focus and an Image Stabilisation system that assist in creating images with stunning clarity at up to 9fps. A body designed to be a tool for the photographer to capture their creative vision. 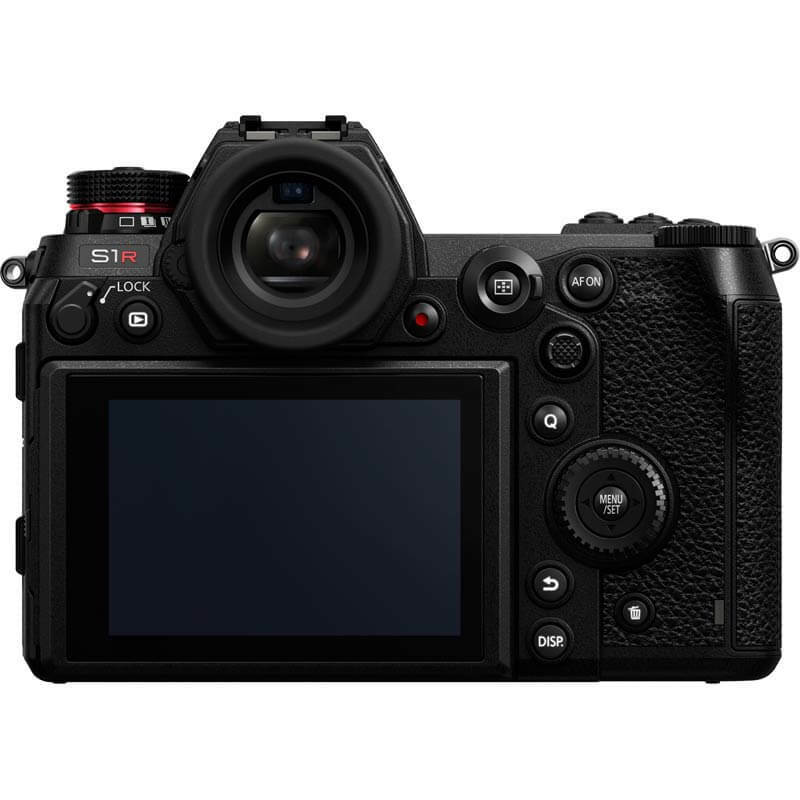 This unique combination of features and technology, the S1R is a Full-Frame Mirrorless camera which transports you to a new level of creativity. 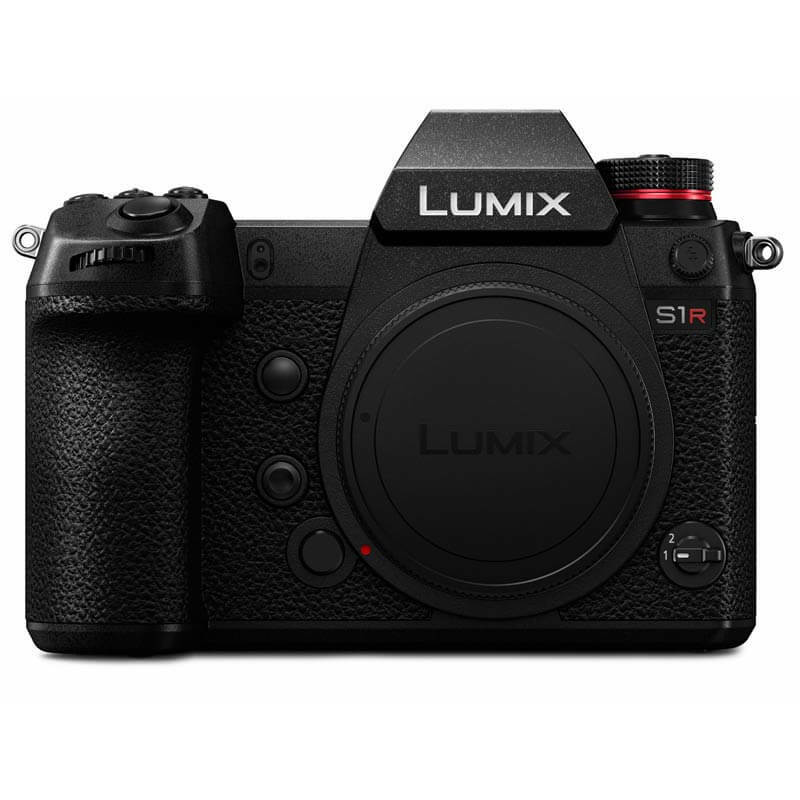 The LUMIX S1R is designed to help the photographer deliver their vision. 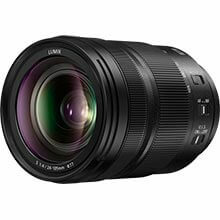 Offering an unparalleled level of resolution the 47.3 megapixel Full-Frame (36mm x 24mm) CMOS sensor produces images with stunningly realistic detail, without a low-filter getting in the way. 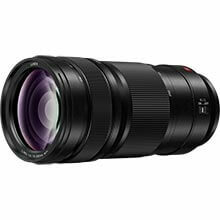 The new sensor combines best-in-class megapixel count with outstanding light gathering capabilities. Each pixel features an aspherical micro lens and an optimized design that increases the light capturing potential of the photodiode.The result is an extraordinary signal-to-noise ratio and maximum sensitivity of ISO 25600. 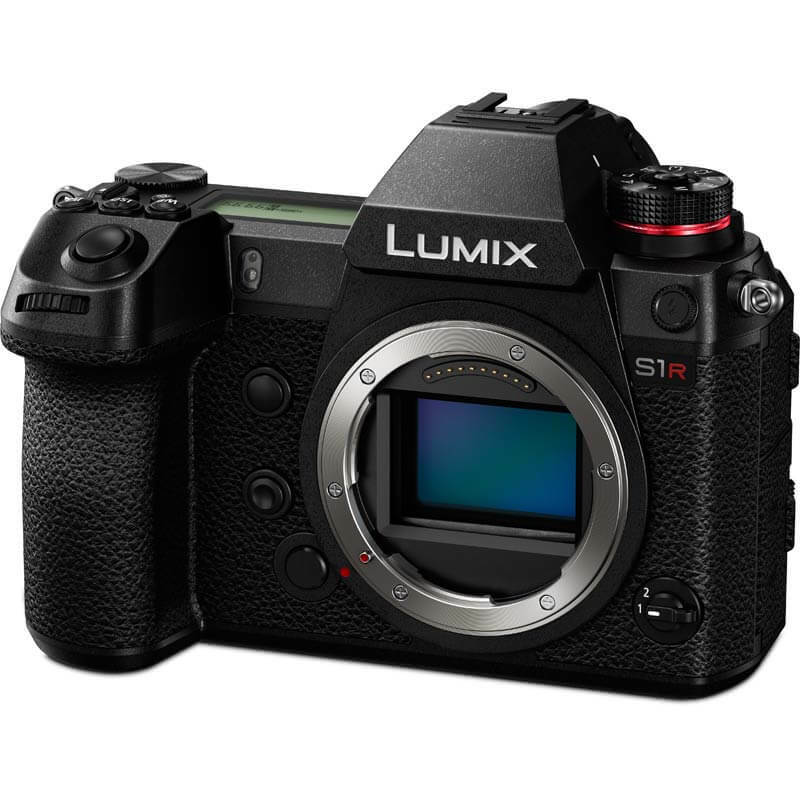 The S1R has the ability to produce image quality that allows photographers to develop their art beyond previous limits. The marriage of a CMOS sensor with the powerful Venus Engine reproduces extraordinary colours and natural looking details and textures. Multi-pixel Luminance Generation and Intelligent Detail processing render intense brightness and contrast. The Three-Dimensional Colour control delivers rich colours across the gamut, while high-precision Multi-process Noise Reduction ensures your images deliver even at the higher ISO's. 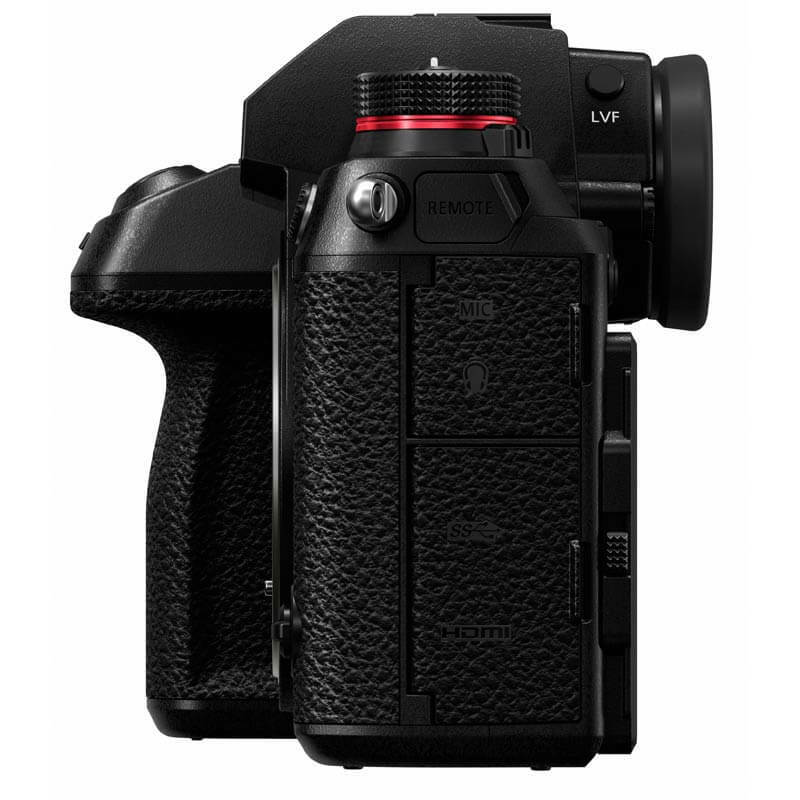 Be confident in capturing incredibly sharp handheld photos without worrying about shake: the 5-axis Dual I.S. 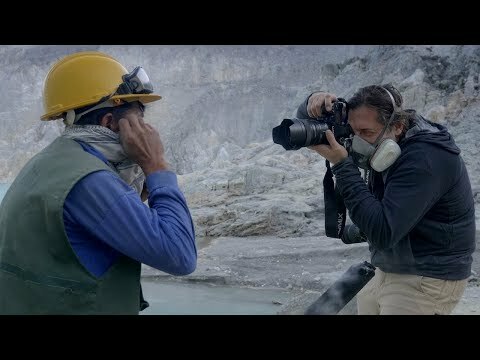 2 (Image Stabilizer) brings intelligent compensation to your aid. 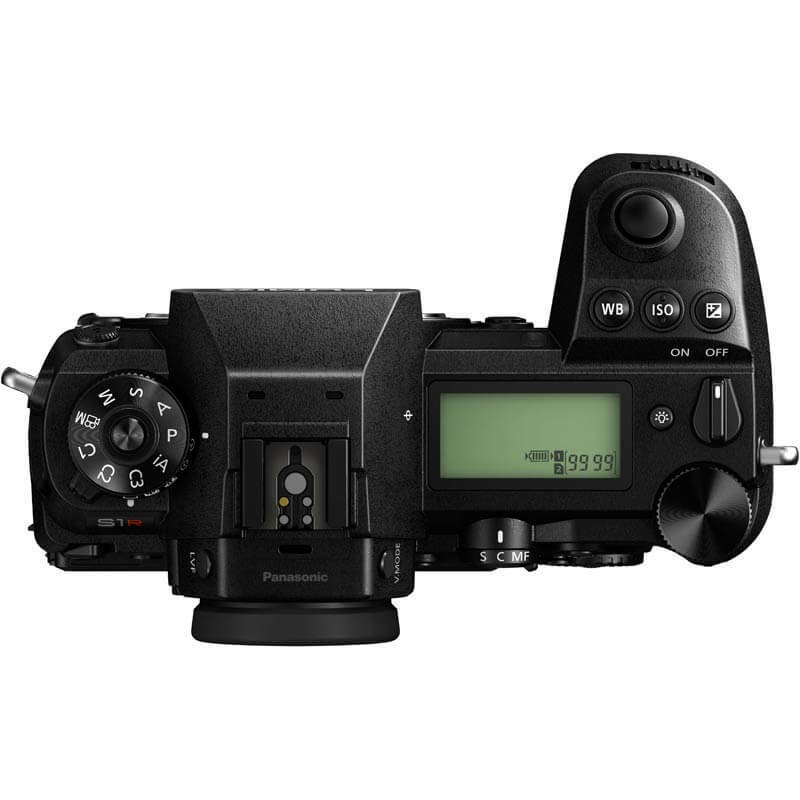 This provides up to 6-stops of benefit, meaning you can use up to 6-stop slower shutter speed right up to the tele-end. 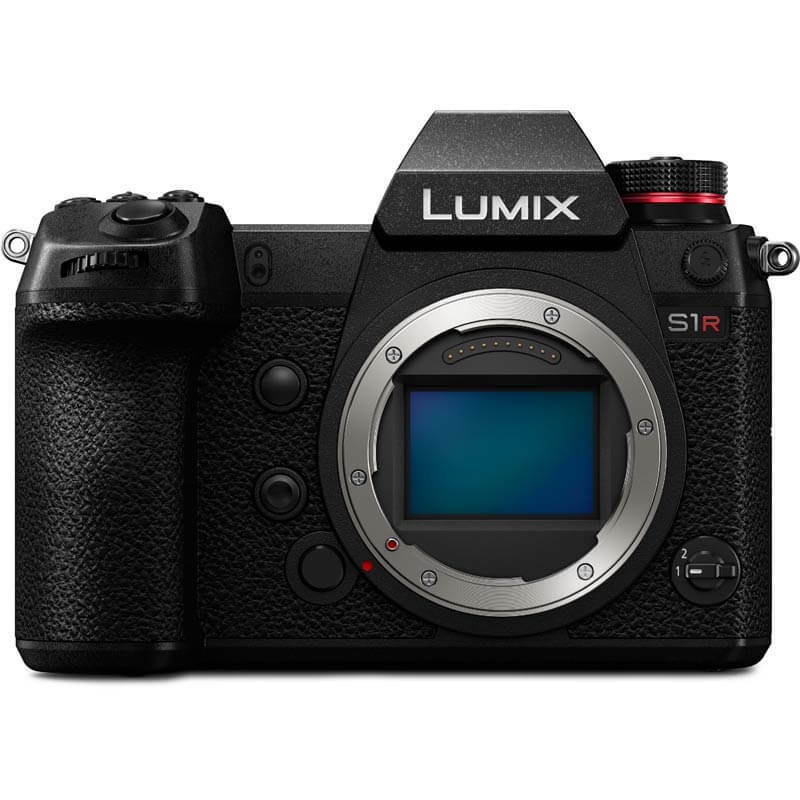 The LUMIX S1R can virtually eliminate shake in both body and lens, across both stills and video recording, including 4K. The astonishing power of the 5-axis Body I.S. 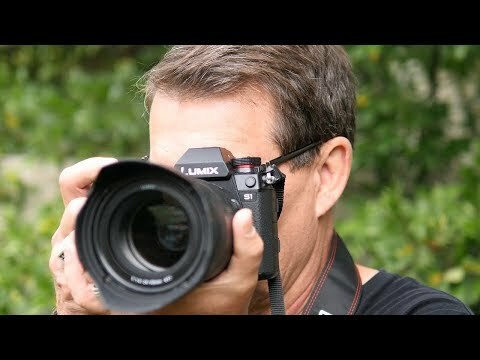 can correct shake for all lenses, upto 5.5 stops***, even those not equipped with O.I.S. 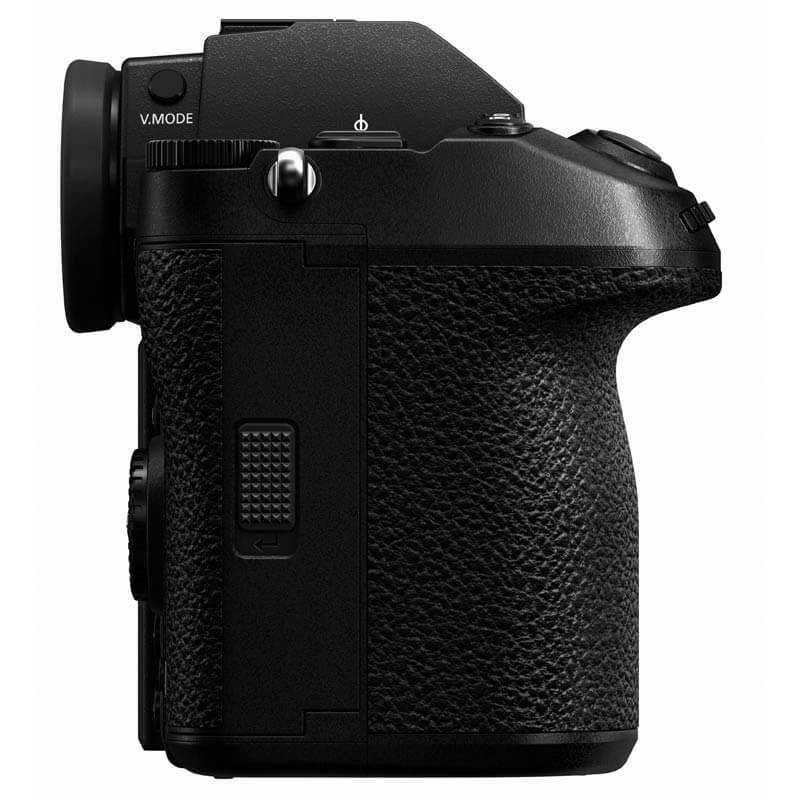 Double Memory card slots, compatible with High-capacity SD (UHS-II) and XQD™ memory cards*, provides flexibility and security when shooting. You can specify the card slot to be used for recording different image format, long videos or simply as a backup. Alternatively, you can relay record from one card to another or match the data to both cards. The body is designed to be used in a range of extreme conditions. 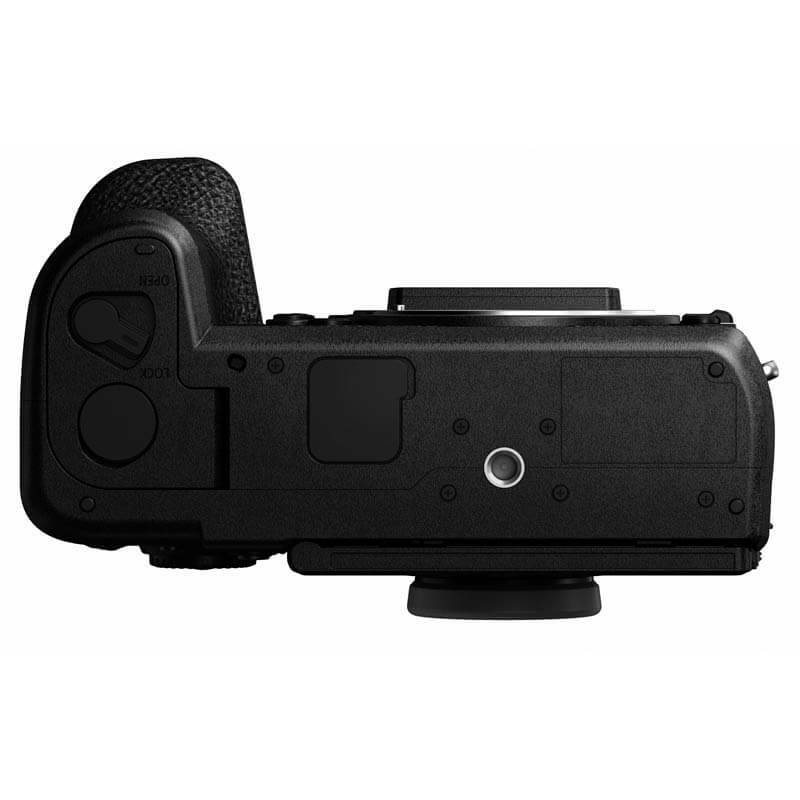 The magnesium alloy body is both durable and lightweight, while sealing protects every seam, dial and button The camera is designed to resist ingress of moisture and dust, while being able to operate in temperatures as low as -10°C. Combined, these features ensure shooting is productive and enjoyable across a wide range of environments. 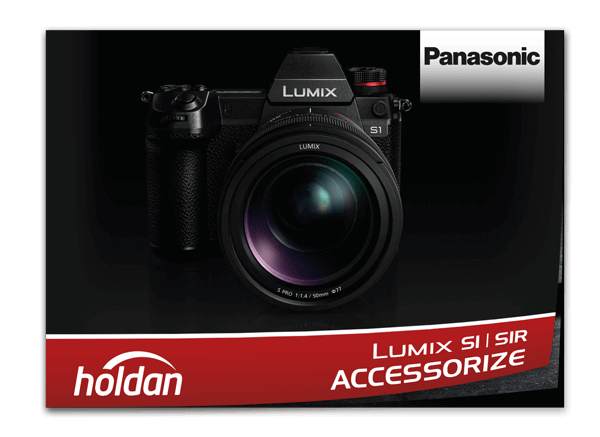 Panasonic's combination of new sensor technology and Venus engine provide the power to deliver spectacular 4K 60p utilising the whole of the Full-Frame sensor*. Thanks to the combination of these advanced technologies the S1R is able to deliver smooth and natural looking footage even with rapidly moving scenes.